This has to be one of the best looking summer blockbusters of the year- and with every new piece of advertising material released i get more excited to see Del Toro’s monster movie. Del Toro has proved before that he can deliver visual stunning movies (Pans Labyrinth) and that he can deliver a good action movie (Hellboy/Blade2) so i have really high hopes for what looks like it could one of the best monster movies of recent times. 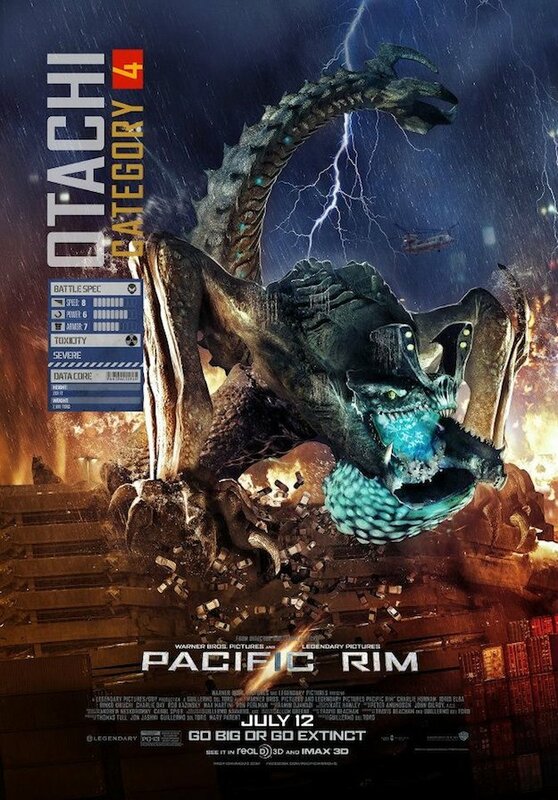 And the one sheet above really has me wanting to see the ‘Kaiju’ in their full glory destroying towns. Guess the 12th July can’t come around fast enough.